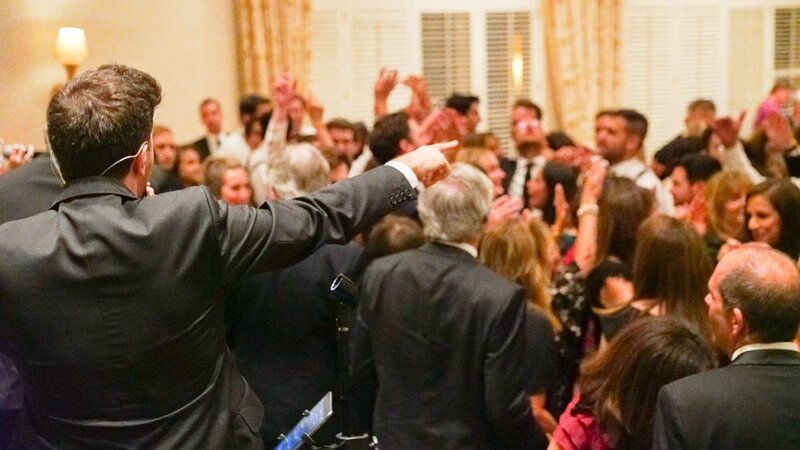 Danielle and Jonathan's wedding at the Four Seasons Resort in Santa Barbara was simply stunning, and The A-List loved performing and celebrating the night away! Venue: Four Seasons Resort, The Biltmore Santa Barbara // Planner: Green Ribbon Parties // Florals: Coco Rose Designs // Photobooth: Amusebooths // Band: Downbeat LA (The A-List) // Photographer: Annie McElwain & Raya Carlisle // Videographer: Shai Hazan Films // Paper: Cecile's Paper Co.
Book the best in live entertainment for your wedding or special event! Get your free quote here, and see more from dance band The A-List by visiting their band page here.